JACKSONVILLE, Fla. - Leonard Fournette's one-game suspension might turn out to be beneficial for the Jacksonville Jaguars. The second-year running back returned to the facility Monday after a week away. The Jaguars (4-8) ended a seven-game losing streak against Indianapolis without him - thanks to the team's best defensive performance of the season - and now have a rejuvenated Fournette back for a quick turnaround at AFC South rival Tennessee on Thursday night. "He's definitely had himself a nice, long break throughout the season, so I don't mind if they give him 45 carries," safety Tashaun Gipson said. "He needs them." 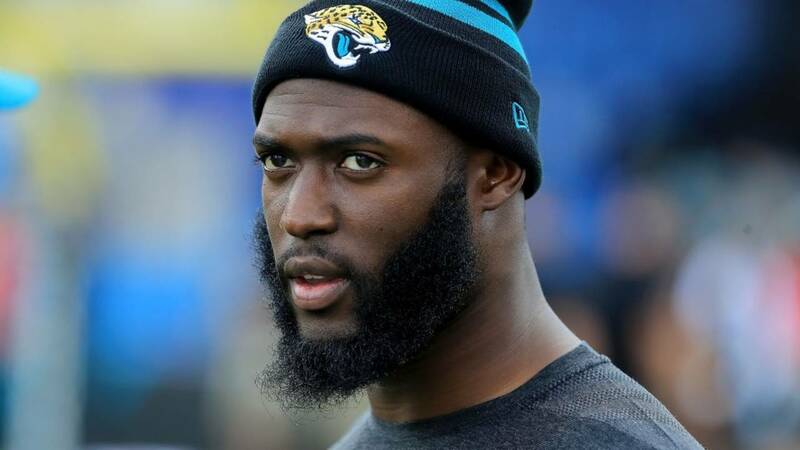 Fournette, the centerpiece of Jacksonville's run-first offense, was suspended one week without pay for leaving the sideline, running across the field and instigating a fight at Buffalo on Nov. 25. He wasn't allowed to practice or be at the facility. Carlos Hyde carried 13 times for 36 yards in Fournette's place. T.J. Yeldon added 16 yards on eight attempts. The Jaguars finished with a season-low 211 yards against the Colts. It was the first game for new quarterback Cody Kessler and new play caller Scott Milanovich. Kessler and the offense did just enough to manage two field goals, which was all Jacksonville needed because the defensive effort was among the best in franchise history. Fournette's return should be a boost against the Titans (6-6). He rejoined teammates Monday, but refused to speak with reporters despite meandering around the locker room for 30 minutes. Coach Doug Marrone said he didn't have a chance to chat with Fournette on Monday. "I've been in meetings all day," Marrone said. "I just went and checked, though. He's back. I haven't had a chance. I apologize for that." Fournette missed six games earlier this season because of a strained right hamstring. He played in three straight before the suspension, carrying a combined 70 times for 243 yards and four touchdowns. He managed a season-high 95 yards in each of his last two games despite playing behind a makeshift offensive line, which is now without three starters. "Any time you get a guy a like him in this offense, the two games back he's been, three games since his injury, man, the spark that he's provided with the offense," Gipson said. "You can't replace a guy like that, that type of production, and the respect that he demands himself as a football player definitely goes unnoticed, and I think that you see it with and without him in the lineup. "Getting him back is going to be a huge boost, especially for our team. We're a physical team and we want to run the ball, get your playmakers the ball, and obviously he's the best player we have on the offensive side of the ball." Fournette has 90 carries for 314 yards and four touchdowns this season. He also has 14 receptions for 134 yards and a score. Marrone said Fournette remains a captain despite hurting the team with his actions against the Bills. "It's not something I can take away because it was voted by the team," Marrone said. "The team would have to take it away."